Blueberry coconut pecan cookies, sweet crumbly cookie filled with blueberries, coconut and pecans. 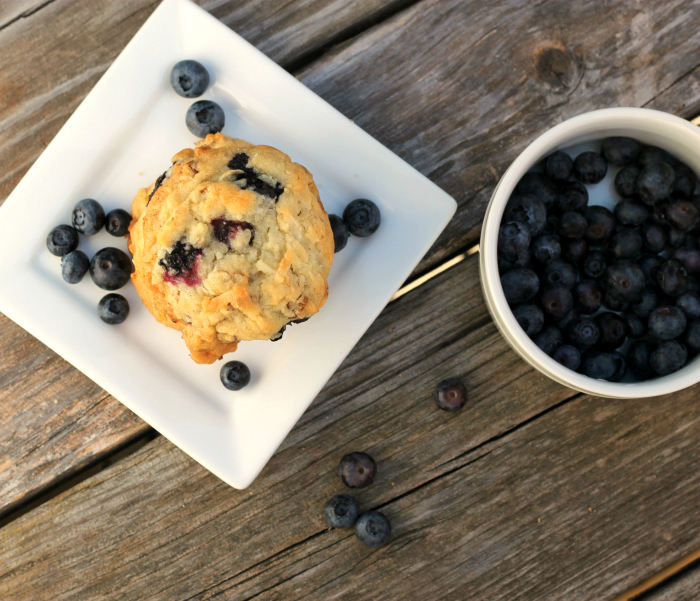 I have been loving this blueberry season, as you can see by all the blueberry recipes that I have on my blog this summer. I have to say that I wish that it could go on and on, but I know that it will all come to an end. But I also know that it will all start up again next year… even though it will be hard to wait. “Blueberries in cookies”? That is what my mom said when I brought her some to sample. After she sampled one, she had to agree that yes, blueberries in cookies is a good thing. And so did the rest of the family… even those that don’t eat coconut. The recipe came about for one simple reason. I had left over coconut from the coconut almond macaroons that I posted a while back ago and I wanted to use it up. Yep, I am sure happy that the coconut was sitting in the pantry, because these probably would not have come about. 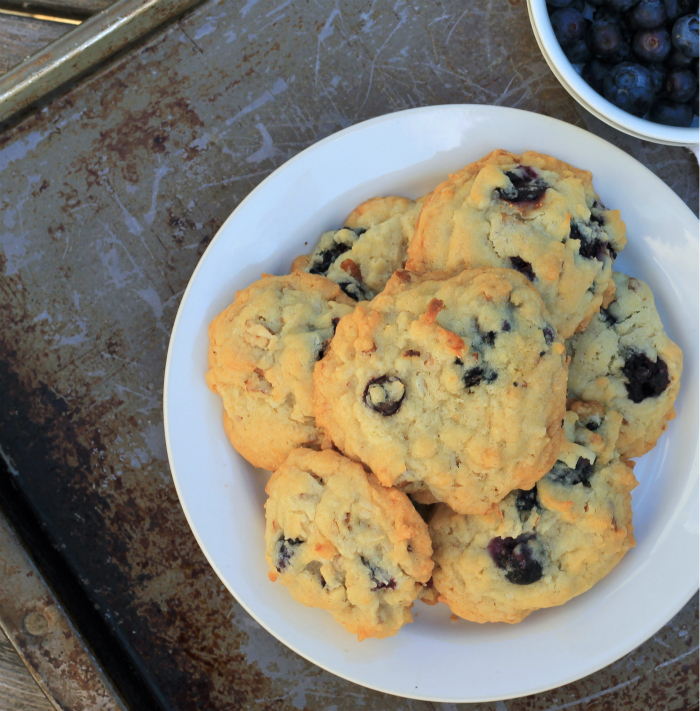 Blueberry coconut pecan cookies are a sweet crumbly cookie, packed with you got it blueberries, coconut, and pecans. You can change them up with maybe raisins or cranberries, oh yeah cranberries would be a great choice for these cookies. But for the time being I am loving these cookies. I hope that if you love coconut and pecans you will give these a try with whatever fruit you would like to add to them. Beat butter and sugar in a large mixing bowl until light and fluffy. Beat in egg until combined. Add vanilla and mix in. Sift together the flour, baking soda, and salt, add to the creamed mixture, mix until well blended. Fold in pecans and coconut with a spatula or by hand. Once the pecans and nuts are combined gently folded in the blueberries. Drop by teaspoon onto prepared baking sheet. 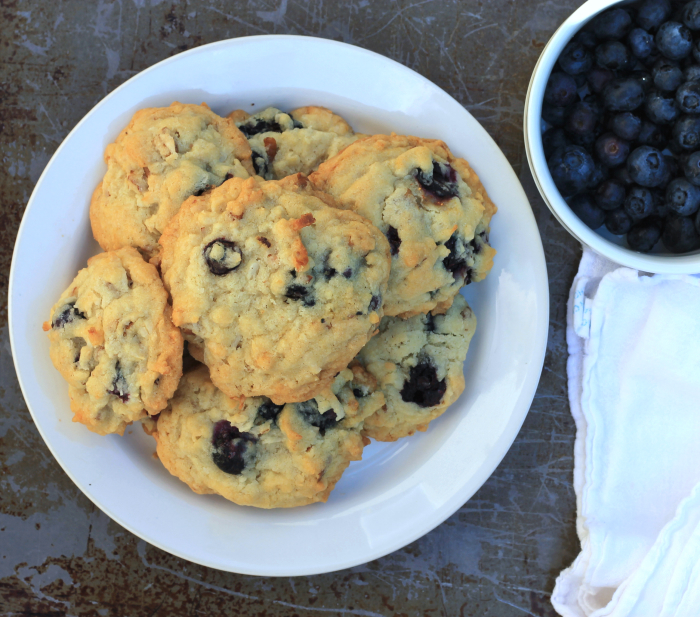 I love the idea of blueberries in cookies….I am sure it gives a wonderful burst of flavor. It’s so rare to see fresh blueberries in cookies! These sound so good. I love blueberries in baked goods. These cookies look tasty! I never thought about putting blueberries in cookies before! What a fabulous idea!! These cookies sound really good! 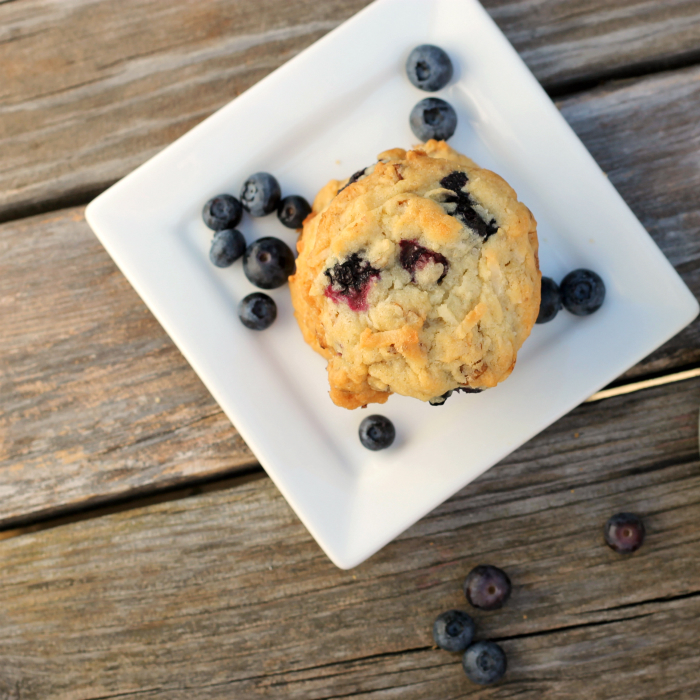 My use of blueberries in baking has always been confined to muffins, cobblers and the occasional cake. Onward to new directions!